Advancement of Women Halton (AWH) is a non-partisan, issue-oriented collaborative of more than twenty community groups and agencies in Halton Region, our mission is to promote the advancement of women by studying, supporting and responding to issues of local, national and international importance. We are writing in response to the proposed Bill 148, Fair Work Places, Better Jobs Act 2017. Our priority is to support the introduction of the $15-hour minimum wage, as it will increase security and opportunity for more people. Our member groups have advocated for nine years to express our concern for the growing inequity in Ontario, Canada and throughout the world. We acknowledge the concerns of some of the business community and hope to address them with the following. Some labour lawyers have suggested that Bill 148 signals the “Clear intention of the Ontario Government to focus on unions and employee advocates to the detriment of business and a strong economy, with a resulting negative impact on job creation and economic activity in Ontario in both the long and short term.” Critics think that the workplace changes could decrease the attractiveness of Ontario to businesses looking to expand operations or set up shop. We would ask, are economic growth and improved rights for employees mutually exclusive? Today, Ontario’s minimum wage is $11.40 per hour. Adjusted for inflation, this is barely one dollar higher than its value in 1977. Yet over the same four decades, the average productivity of workers has increased by 40%. Around 1 in 10 Ontario workers earn minimum wage today, an individual working full-year, full-time on the minimum wage can still fall below the poverty line. Over 60% of workers earning minimum wage in Ontario in 2015 were over the age of 20, as were over 80% of those making $15 or less. While Canada escaped the harshest impacts of the 2007-08 financial crisis, our country has also seen a slowdown in growth. We risk further stagnation without reinvigorated economic motors. Those who earn lower incomes spend more of what they earn than do those with higher incomes, and therefore raising the minimum wage could play a role in economic revival and improving macroeconomic conditions. There are many possible reasons for minimum wage increases to lead to little or no job loss. Studies have indicated lower turnover, more on-the-job training, greater wage compression (smaller differences between higher- and lower-paid workers) and higher productivity after minimum wage increases. In short, raising the minimum wage makes for better, more productive workplaces. From fear mongering headlines, you would think nobody ever dared to raise the minimum wage before. However, we have been raising the minimum wage for over 70 years and there is zero evidence of “job killing” consequences. The National Employment Law Project analyzed 7 decades of industrial data and failed to find any correlation between wage increases and employment levels. The Organization for Economic Cooperation and Development(OECD) report for 2014 found that inequality (and the accompanying reduction in consumer demand) prevented 6 – 9% of US economic growth in the past 20 years. When workers have more money, they spend it locally. Consequently, businesses have more customers and are able to hire more workers, which further drives economic growth. There is no doubt that employers will find ways to adjust their business model to continue to make a profit. They did this when we collectively decided, through legislation, that seven-year-olds should no longer work in factories, or when we legislated an eight- hour workday and gave workers a weekend. Businesses survived then and they will again. Our second concern is with precarious work and its impact on women. Precarious work is part-time, contract, minimum wage work, with no union and no pension. Half of Ontario workers earning less than $15 per hour are aged 25-64, and the majority are women. Women workers represent a larger percentage of the workforce than they did 20 years ago, but they are more likely to work part-time and earn lower wages. Self-employed women tend to be concentrated in more precarious forms of self-employment. They often choose self-employment for the flexibility it allows in balancing work and family. While this may suggest that these women have control over their work life, the fact is that women remain primarily responsible for unpaid labour in the home. The decision to adopt precarious work in order to meet that responsibility is not really a choice but a practical necessity. In some cases, women choose part-time or temporary jobs since it allows them the flexibility to fulfil home and care-giving responsibilities. This choice is illusory, as is necessitated by employers’ or society’s failure to accommodate these responsibilities. In other cases, women work part-time because they are unable to find full-time employment. AWH wholeheartedly supports measures in the Bill that eliminate pay structures that discriminate against female workers. We also support equal pay for temporary, part-time, casual and seasonal employees who perform the same job as permanent employees. Section 2 (7) of the bill states that the first two days must be taken as a paid leave and the subsequent unpaid days after. This places limits on a woman’s budgeting needs, as there are times when financial reasons would allow a day to be taken as unpaid and days and when it would be better to paid personal days. In eliminating this choice, this puts unnecessary demands and limits on a women’s planning capabilities. 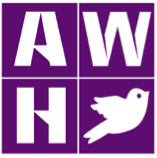 Ending violence against women is something that we as member groups of AWH have been actively advocating and to which we devoted numerous efforts to. Although we do commend the start of this process, two days is absolutely not nearly enough for victims of domestic violence. Leaving an abusive partner is not something that can be resolved in two days when the issues are as complex as violence. Survivors need time. The workplace is often the first point where a woman will be stalked after leaving her abusive intimate partner. It is simply unsafe for her to continue to be exposed to abuse and the survivor needs time to seek social services and get medical attention, let alone relocate to a shelter or a safe place for herself and her children. In addition, the legal proceedings drag on for months in most complex cases. Hindering a woman’s ability to earn an income at a time when she needs it most is unacceptable and we need to do more to protect women escaping violence. Due to our concerns regarding the complex nature of such cases, we are in support of Bill 26 which provides for up to 10 days paid leave for survivors of domestic and sexual violence, as well as additional unpaid leave, workplace accommodations and training. We urge that this new legislation be amended to include the provisions of Bill 26. There is a need for more clarity regarding the reasonable evidence that evidence is required. It is a step in the right direction to no longer have a health care practitioner provide evidence as this is associated with additional time off. We believe by removing the need for evidence from a health care practitioner this will help women seek support services from agencies and experts that women choose in the field for this evidence and would facilitate the support structure for these women. Lastly, we agree with the new scheduling provisions that call for minimum pay of 3hours, even if the work was less time. We also agree with The Right to Refuse requests to work on a day that is not scheduled to work, however, this is fraught with concerns. Many women who work precarious employments have experience many negative problems when exercising their right to refuse. When the answer is “no” there is often a negative reaction, a backlash a change in attitude towards the employee. This leaves many concerned for the security of their jobs. In reality, we have to understand the unbalanced power dynamic that often puts women in fear for their jobs in the first place before we can encourage women to exercise this right without fear of reprisal. This is a good rule of law but in reality, will it work? We all benefit from living in a place where all workers are fairly valued, there are protections for the most vulnerable workers, and where work pays enough to lift people out of poverty. It’s important to point out that women, recent immigrants, Indigenous People, and racialized workers have been disproportionately impacted by the shift to low-wage, precarious work. They will be the primary beneficiaries of these new changes to labour standards in Ontario. These changes are long overdue.